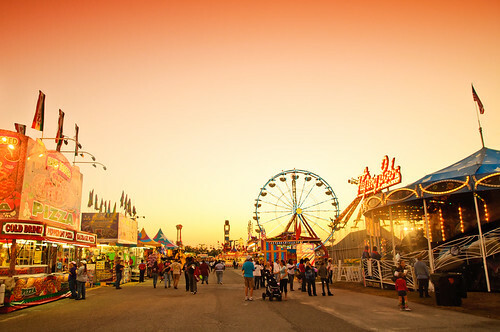 Yep, that's the same headline we used last year when local photographer Joseph Nienstedt made a trip out to the Coastal Carolina Fair in Ladson and, once again, he has come back with a lovely photo essay geared towards those who also like to take photos. He says, in part, "Much like last year, the year before that, and for 50 something years before that, the Coastal Carolina Fair has come to Exchange Park in Ladson. Actually, they’re celebrating the 55th year of the fair in the Charleston area this year – that’s over a half-century of fried Kool-Aid (or Oreos, Twinkies, sticks of butter)." Check out his story and shots over here. If you're just wanting to go check out the fair it runs until November 5, here's details on that.